‘Customer service’ prevails over profits. 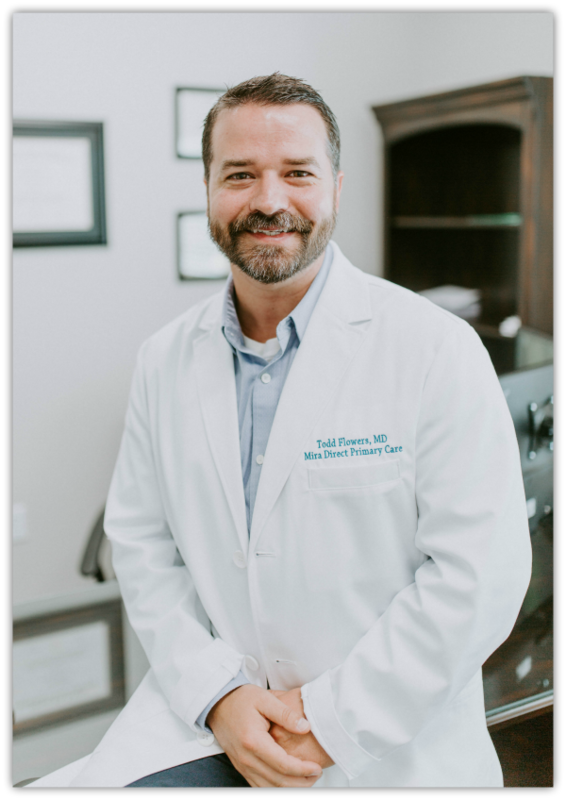 Merriam-Webster defines “missionary” as “a person undertaking a mission and especially a religious mission.” Louisiana-based Todd Flowers, MD checks the box twice—having done missionary work across the globe, and now as a direct primary care physician. He decided to take a year off and did medical missionary work in such places as Nicaragua, Laos, Uganda, Zimbabwe, Honduras and Peru. “I missed my practice patients. They gave me as much as I gave them. I wanted more, in a different way,” he notes. After a year doing research and developing a business plan, he founded MIRA Direct Primary Care on July 1—inviting previous patients as well as the population at-large. He aimed to have 40 patients signed up by now. He’s at 132. He charges a monthly flat fee of $89.99 per patient for open access to his care. Office visits are included, lab costs are passed through, and there is no insurance entanglement. Depending on a patient’s health insurance plan, if any, he can refer to specialists where insurance coverage is in force. Examples abound. He did a hemorrhoid surgery in his office that at the low end of estimates was going to cost $3,300. He charged a total of $66.67 to cover the cost of lidocaine, laceration tray, meds and a $30 fee. Recently, he diagnosed and treated a patient with major emergent abdominal pain, eliminating a costly visit to the ER. Dr. Flowers notes that this is in stark contrast to the typical office visit encounter-based system where often unnecessary tests are done to upcharge. The answer likely lies in the model of exceptional “customer service” where everyone wins. Patients get what they need at a very fair price, and judging from the rate of growth for his practice, Dr. Flowers will see plentiful profits. This is the second in a series about healthcare “customer service” addressing patient caring. While there is much to lament about the decided lack of “bedside manner” afforded many under today’s ailing healthcare system, there are bright spots as well. This series focuses on exemplary healthcaring innovations that hopefully will spread quickly and help cure what ails us. Wow! Direct Care is revolutionary. Thank you for letting people know they have other options than the for profit insurance system we have now.